Happy 40th, Endangered Species Act! Endangered species recovery is complex and difficult work, often requiring substantial time and resources. Just as it takes a long time for species to reach the brink of extinction, it takes a long time to bring them back. Many of the endangered species that have fully recovered were the original species protected under the ESA. Forty years of hard, dedicated work by federal and state agencies, state and local governments, conservation organizations and private citizens have reaped much success for threatened and endangered wildlife. We’ve got a lot to be proud of. As we near the anniversary on Friday, we’re celebrating the wildlife that has benefited from the protection of one of the world’s most important conservation laws. Here are some Northeast state-by-state snapshots (click the links for stories). 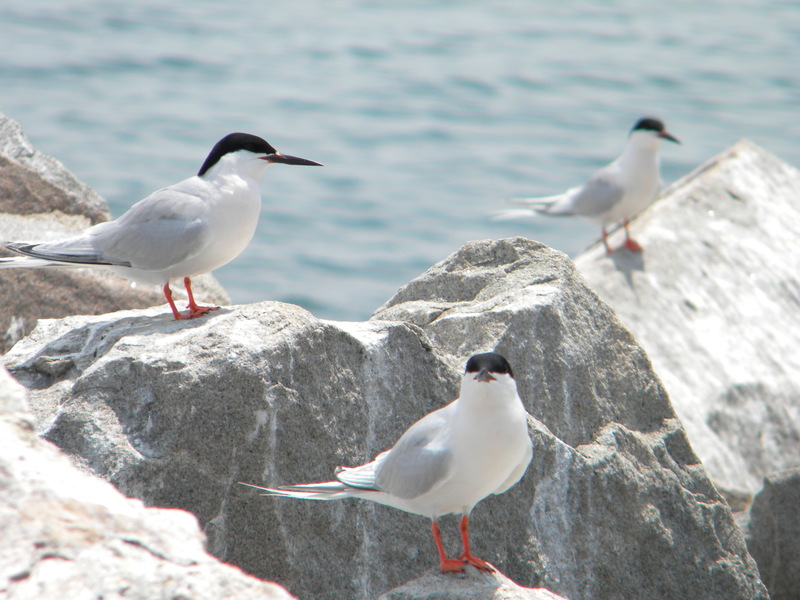 CONNECTICUT provides homes to nearly 20 imperiled species, from the roseate tern to the bog turtle and Indiana bat. A portion of Silvio O. Conte National Fish and Wildlife Refuge has protected threatened tiger beetles (and migrating songbirds); restoration of Long Beach West returned the barrier beach to the threatened piping plover and other shorebirds; and a team is watching over one of the last remaining healthy populations of the endangered dwarf wedgemussel, found in the Lower Farmington River. DELAWARE provides homes to over 15 imperiled species, from the swamp pink lily to the shortnose sturgeon and nesting loggerhead sea turtles. Biologists translocated endangered Delmarva Peninsula fox squirrels to Prime Hook National Wildlife Refuge, and just last year, our analysis showed the species has recovered and suggested removing it from the endangered species list! 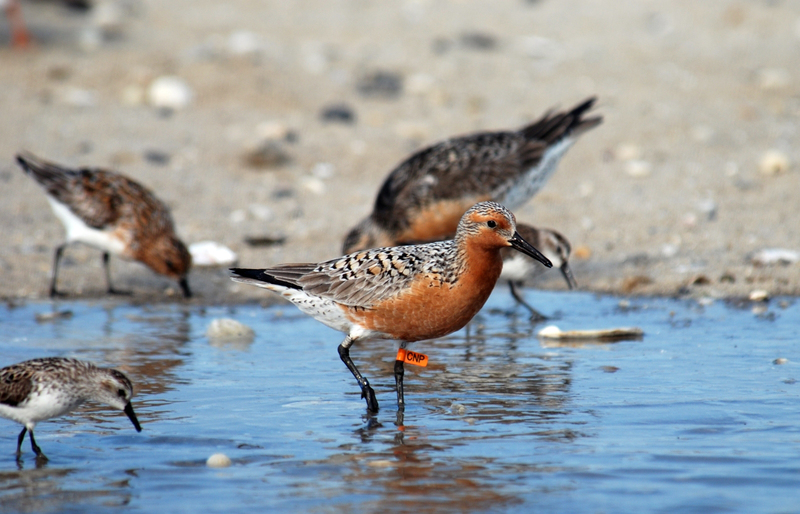 The Delaware Bay is arguably the most important spring stopover for one of the longest-distance migrants in the entire animal kingdom, the red knot. We proposed to protect the knot as threatened under the ESA, and the Delaware conservation community is out to ensure the Bay continues to provide that crucial place for resting and feeding. MAINE also provides homes to over 15 imperiled species, from the Furbish’s lousewort plant to the Canada lynx and spawning Atlantic sturgeon. 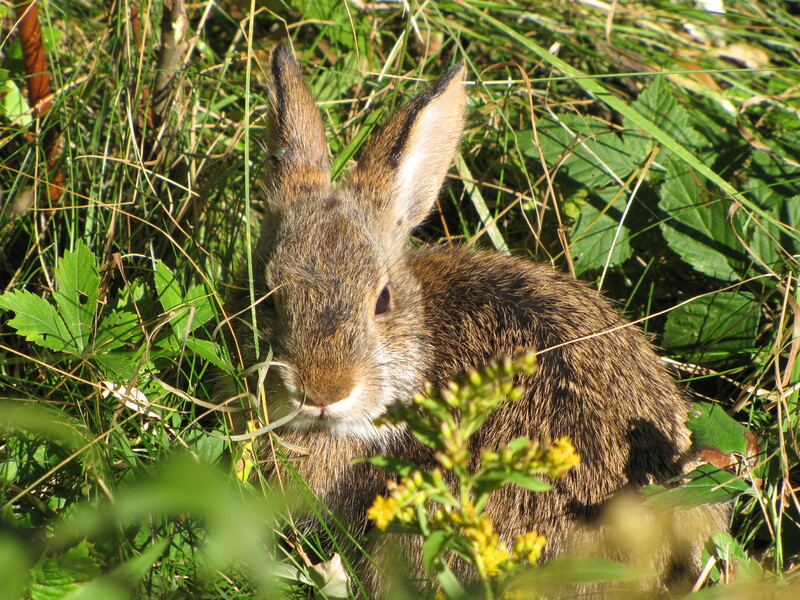 Maine’s only cottontail, the New England cottontail, is a candidate under review for endangered species protection, and Rachel Carson National Wildlife Refuge, along with other partners and private landowners, is restoring its young forest habitat. Craig Brook National Fish Hatchery has cultured Atlantic salmon for over a century, and partnering organizations are working on restoring the free-flowing rivers, such as the Penobscot, on which endangered salmon depend. MARYLAND provides homes to more than 25 imperiled species, from the Maryland darter to the sandplain gerardia plant and Kenk’s ampipod. 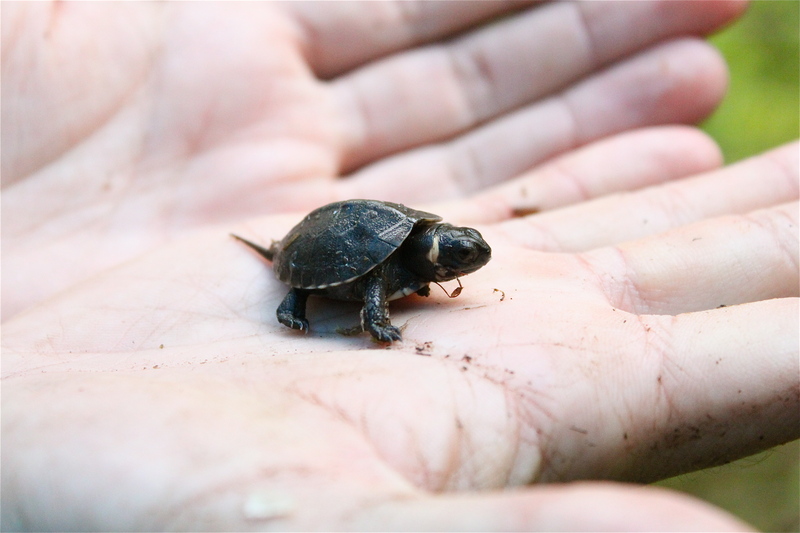 Landowners have partnered with our agency and the USDA-Natural Resources Conservation Service to improve their wetlands for North America’s tiniest turtle, the threatened bog turtle. In 1967, when the Delmarva Peninsula fox squirrel was listed, it could be found in only a handful of counties in the state, and after officials closed the hunting season and re-introduced it to several large farms, populations began to thrive! The Puritan tiger beetle has only four populations, one which is on eroding cliffs in Calvert County and another along the Sassafras River. An interagency team and federal grant funding has made substantial progress in meeting the needs of landowners while promoting the species recovery. MASSACHUSETTS provides homes to 20 imperiled species, from the northern red-bellied cooter to the roseate tern and Kemp’s ridley sea turtles. Friends of Ellisville Marsh have provided a community model to protect piping plovers, and volunteers like Judy Besancon on Newbury Beach keep an eye on plover nests. Every year, volunteers scan the Cape Cod beaches to save stranded, endangered sea turtles. Populations of the state’s only native rabbit, the New England cottontail, have dwindled as its young, regenerating forest habitat has disappeared. Experts are using controlled burns to restore this early stage of forest in places like Mashpee. NEW HAMPSHIRE provides homes to nearly 15 imperiled species, from the northeastern bulrush to the Karner blue butterfly and red knot. A strong partnership to protect habitat and rear seeds in captivity kept the quarter-sized Robbins’ cinquefoil flower from extinction and ensured its future on the slopes of the White Mountains. In areas across southern New Hampshire, efforts are underway to conserve the natural habitat of the region’s only native rabbit, the New England cottontail. 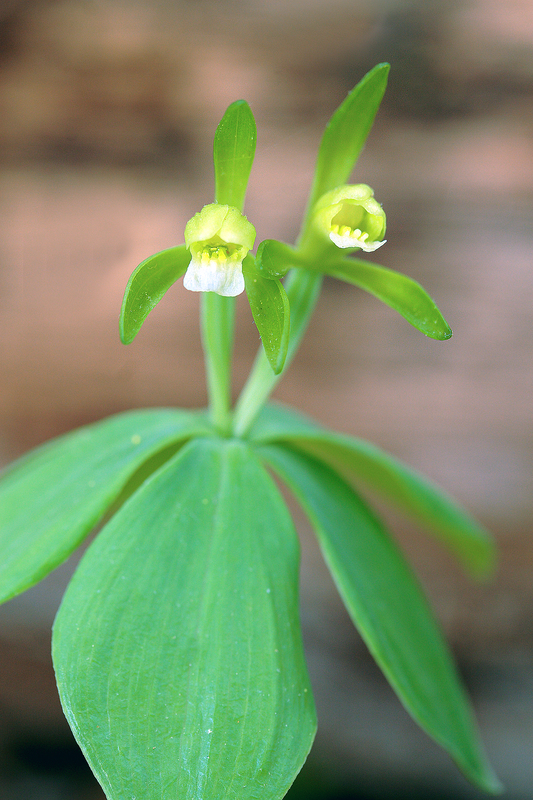 Much of the life history of the endangered small whorled pogonia remains a mystery, but recent efforts in New Hampshire have clued biologists in to this rare woodland orchid’s specific habitat needs. NEW JERSEY provides homes to over 20 imperiled species, from the Hirst brothers’ panic grass to the red knot and the Knieskern’s beaked-rush plant. In 1993, biologists confirmed a newly discovered colony of endangered Indiana bats in an abandoned mine near Hibernia, and surveys at Great Swamp National Wildlife Refuge have helped us understand the impacts of white-nose syndrome on the species. 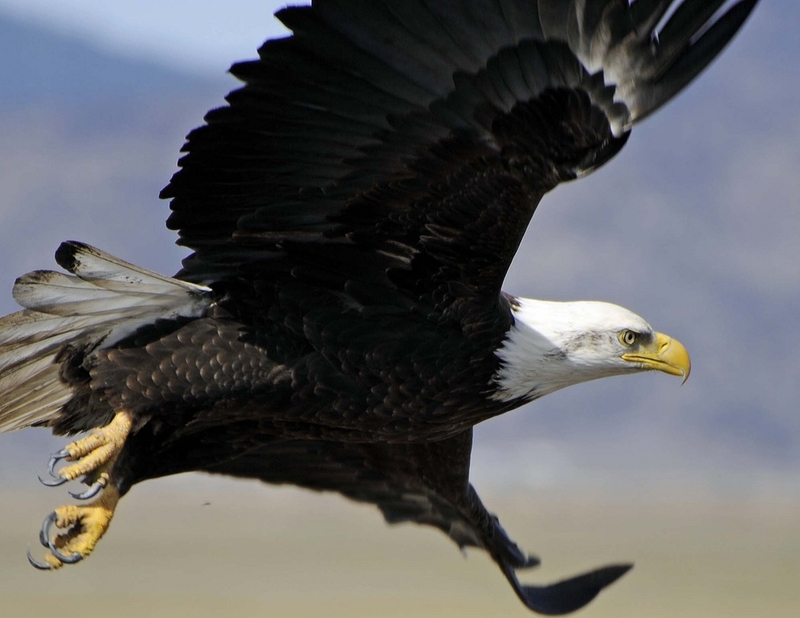 New Jersey almost lost its bald eagle population by 1980, but state and federal wildlife agencies creatively put the eagle on the road to recovery. Law enforcement have helped protect threatened bog turtles through investigation of ESA violations, and partnerships with private landowners and USDA-Natural Resources Conservation Service have improved and protected their unique wetland habitat. NEW YORK provides homes to nearly 30 imperiled species, from the Houghton’s goldenrod plant to the clubshell mussel and (recently proposed for ESA protection) northern long-eared bat. Researchers are finding ways to cultivate the threatened American hart’s-tongue fern in the lab and plant them at suitable sites in New York, home to the largest population of this fern in the entire country! It’s not easy to love a rattlesnake (though we do! ), but the eastern massasauga’s numbers here have dwindled. Biologists are returning what it needs most — a home. 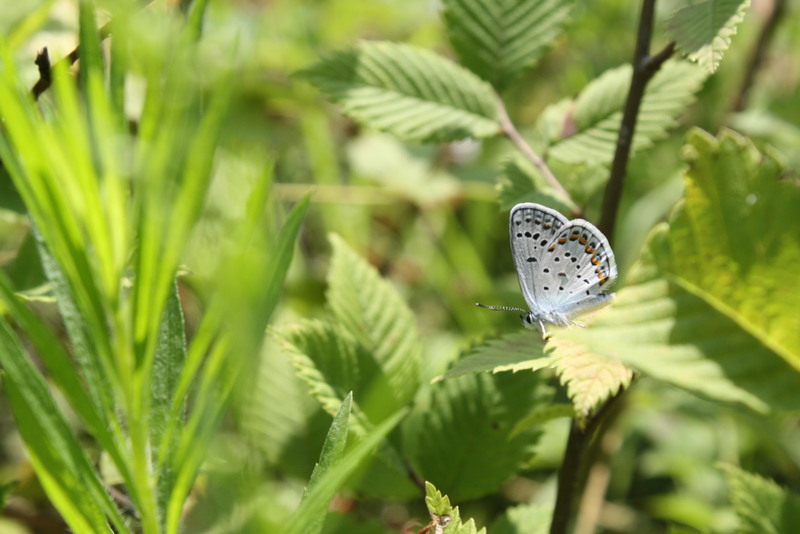 The Albany Pine Bush Preserve, National Grid, our agency and the state wildlife agency have come together to protect habitat for the endangered Karner blue butterfly (the Preserve releases captive-bred butterflies, too!). Last, certainly the tiniest and most difficult to pronounce but not least, is the Chittenango ovate amber snail. Partners are keeping an eye on the only known living population of this snail. PENNSYLVANIA provides homes to more than 15 imperiled species, from the Virginia spiraea plant to the sheepnose and snuffbox freshwater mussels. Cherry Valley National Wildlife Refuge was established, in part, to protect threatened bog turtles and their habitat; this year, a natural resource damages settlement helped add 90 acres to the refuge! Additionally, a voluntary program helps landowners restore their wetlands with bog turtle habitat. Our Northeast Fishery Center scientists are following endangered Atlantic sturgeon in hopes of protecting and restoring their habitat. Last year, we worked with Pennsylvania Department of Transportation and other folks to replace a bridge and transplant the protected mussels in Illinois, Ohio and West Virginia waters. 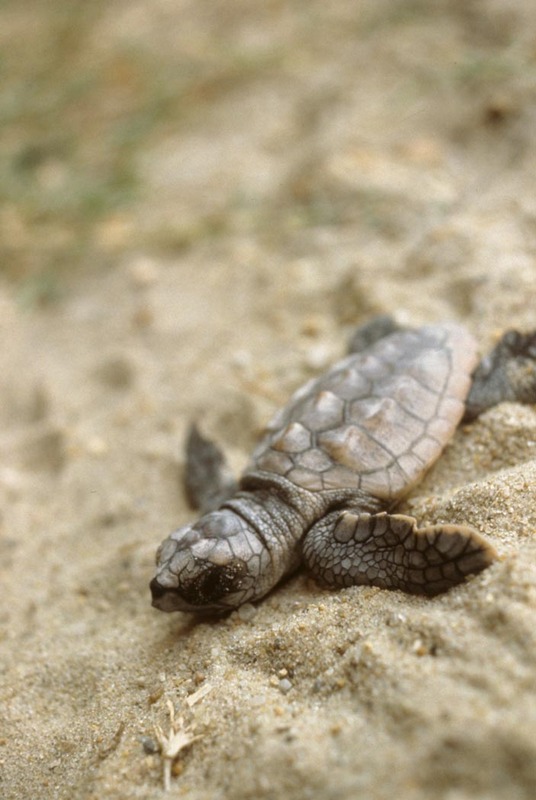 RHODE ISLAND provides homes to nearly 15 imperiled species, from the sandplain gerardia plant to the shortnose sturgeon and foraging leatherback sea turtles. The Roger Williams Park Zoo runs captive breeding programs for both the New England cottontail and American burying beetle, whose last remaining wild beetle population in New England is on Block Island. 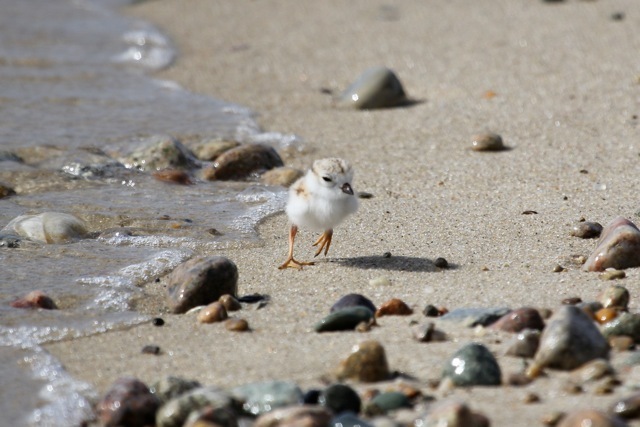 Avalonia Land Conservancy, our agency and locals have found a way to balance recreational use and conservation of threatened piping plovers and other shorebirds at Sandy Point Island. VERMONT provides homes to six imperiled species, including the dwarf wedgemussel, the northeastern bulrush plant and the (recently proposed for ESA protection) northern long-eared bat. What were threatened Canada lynx doing in Vermont last year? Biologists are surveying for these secretive creatures to understand the best ways to conserve the species. 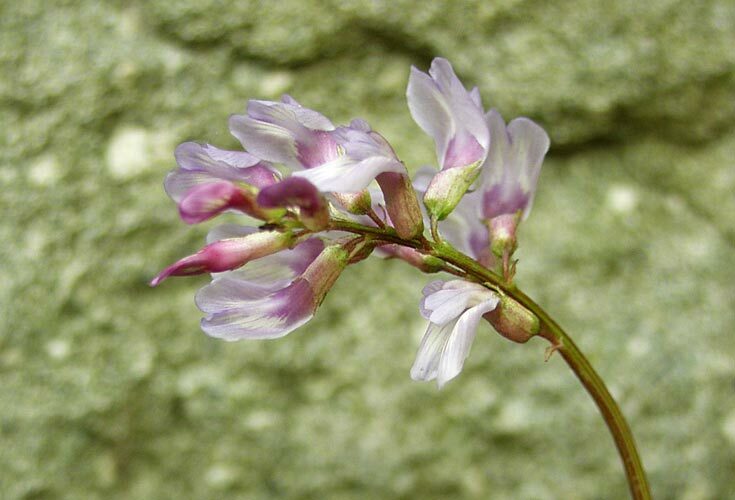 Ice, floods, drought, and invasions–and the endangered Jesup’s milk-vetch hangs on, thanks to a helping hand from wildlife agencies and partners. In 2001, biologists found that Indiana bats come from New York to summer in the Lake Champlain Valley; this information would become vital when white-nose syndrome hit years later. VIRGINIA provides homes to more than 70 imperiled species, from the Virginia sneezeweed to the spruce-fire moss spider and Carolina northern flying squirrel. The yellowfin madtom was thought to be extinct here; after its rediscovery, biologists set out to ensure its future in the state, and its range in one river may now extend more than 60 miles! 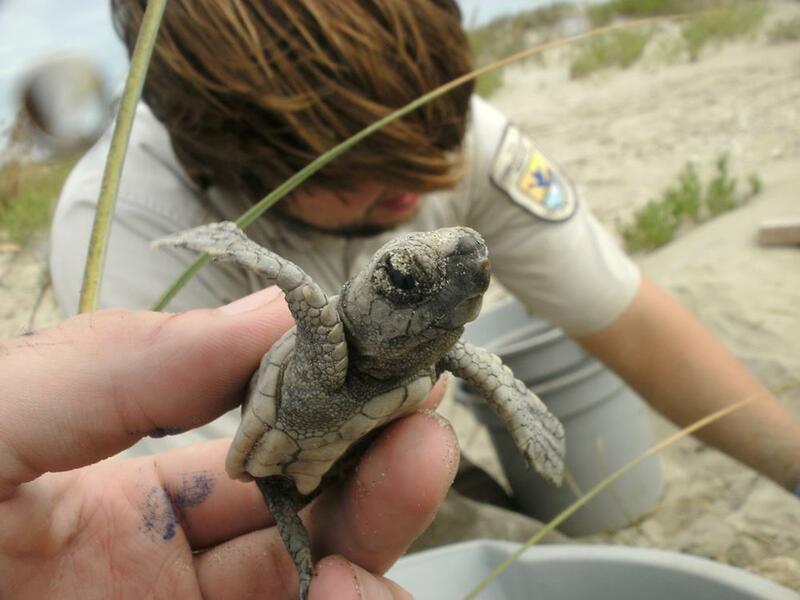 Back Bay National Wildlife Refuge has supported nesting sea turtles for 30 years on the shore of Virginia Beach. The Madison cave isopod isn’t cute and fluffy, but protecting this crustacean has meant safeguarding our water supply. In September 2010, biologists, students and other volunteers put on the largest release of endangered mussels to date in the eastern U.S. (and the work continues!). WEST VIRGINIA provides homes to more than 20 imperiled species, from the shale barren rock cress plant to to the pink mucket mussel and Virginia big-eared bat. Remember those mussels that were moved to West Virginia from a Pennsylvania bridge project? They included the endangered northern riffleshell. We worked with the West Virginia Division of Natural Resources to install a bat-friendly gate on Trout Cave, a hotspot for hibernating endangered Virginia big-eared bats. 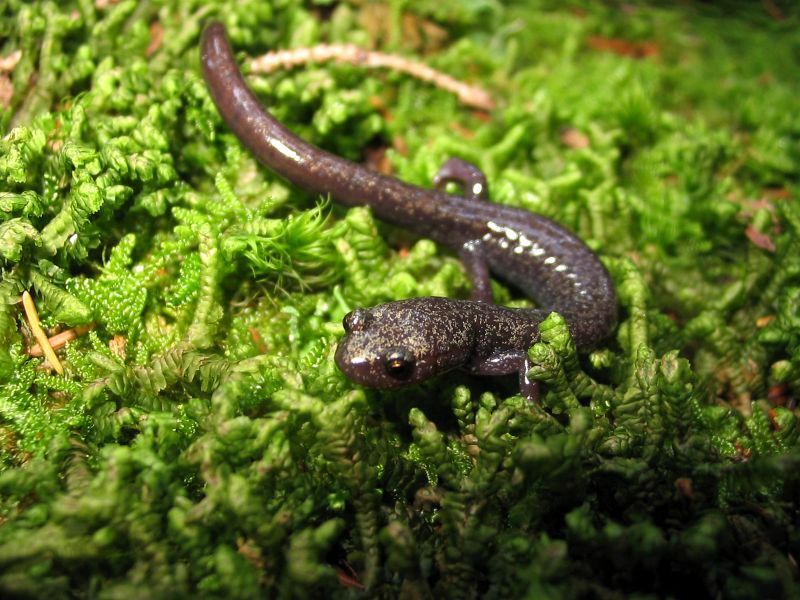 We’re also part of the Central Appalachian Spruce Restoration Initiative, which continues to restore the high-elevation red spruce habitat needed by the threatened Cheat Mountain salamander and recovered West Virginia northern flying squirrel. Whew! Like, we said, a lot to be proud of! And we’re gearing up for a whole suite of efforts in 2014. This entry was posted in Blog entries, Endangered Species, Fisheries, Habitat restoration, Migratory birds, National wildlife refuges, Partnerships, Science and research and tagged albany pine bush preserve, american burying beetle, american hart's-tongue fern, atlantic salmon, atlantic sturgeon, bald eagle, bog turtle, Canada lynx, cheat mountain, cherry valley national wildlife refuge, chittenango ovate amber snail, Connecticut, craig brook national fish hatchery, Delaware, delmarva fox squirrel, dwarf wedgemussel, ellisville marsh, endangered species, endangered species act, esa 40, esa40, farmington river, Great Swamp National Wildlife Refuge, indiana bat, jesup's milk vetch, karner blue btuterfly, Law enforcement, loggerhead, long beach west, madison cave isopod, Maine, Maryland, Massachusetts, new england cottontail, new hampshire, New Jersey, New York, newbury beach, northeast fishery center, northern long-eared bat, NRCS, nulhegan basin, Pennsylvania, piping plover, puritan tiger beetle, Rachel Carson National Wildlife Refuge, red knot, Rhode Island, robbins cinquefoil, roseate tern, shortnose sturgeon, Silvio O. Conte, small whorled pogonia, vermont, virginia big-eared bats, water quality, West Virginia northern flying squirrel, yellowfin madtom, young forest on December 23, 2013 by usfwsnortheastblog. Even if you’re lucky enough to stroll past one of the nation’s rarest native orchids, you might not take notice of it. The modest small whorled pogonia (Isotria medeoloides) grows from a few inches to almost one foot tall and has just single whorl, or circle, formed by five to six leaves around its green stem. If you happen across it on one of the few days out of the year when it is blooming, the plant looks almost like a tiny face, with the mouth as a single yellowish-green flower. Found in hardwood forests, this pogonia was first discovered in 1814 and has since been considered extremely rare. 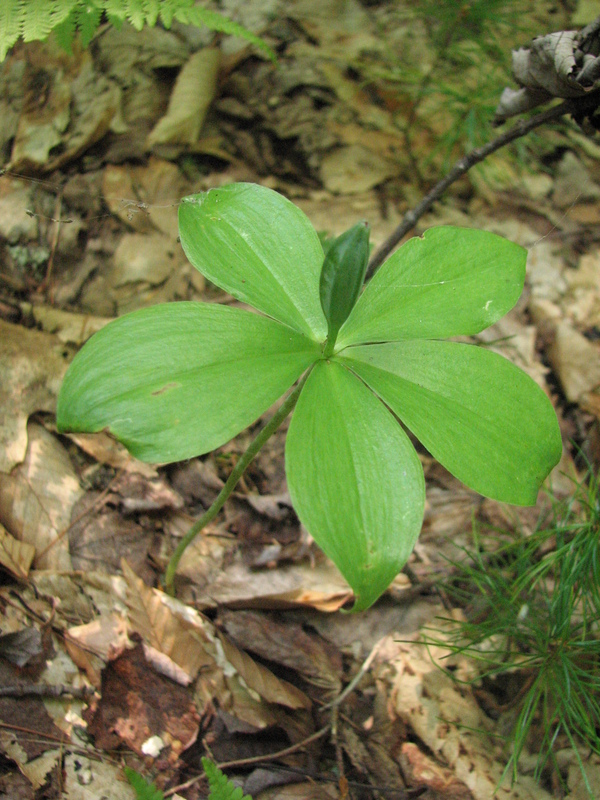 Populations of the plant appear sporadically from New Hampshire to Georgia, and since the small whorled pogonia was listed as endangered under the Endangered Species Act in 1982, the number of known sites where it occurs has increased from 33 to over 150. Currently, there are 51 known populations of this pogonia located throughout central New Hampshire. Did you know we’re celebrating the 40th anniversary of the Endangered Species Act? Check out stories of endangered plant and animal conservation in the Northeast – We’re sharing them throughout the year! Much of its life history remains a mystery, but recent studies have clued biologists in to this rare woodland orchid’s specific habitat needs. “Across the Northeast, we’re seeing evidence that increasing small light gaps through the forest canopy can eventually increase the number of plants,” says Susi von Oettingen, a biologist in the Service’s New England Field Office. This theory has really taken off over the last 10 years, culminating with the publication of a study released earlier this year. But to really understand, we must dig farther back, to East Alton, New Hampshire, in the late 1980s. …Keep reading this story! This entry was posted in Blog entries, Endangered Species and tagged brumback, endangered species, esa 40, esa40, new england, new england wild flower society, orchid, plant conservation, rare plants, small whorled pogonia on June 3, 2013 by usfwsnortheastblog.